Saban’s Go Go Power Rangers #8 serves as a fantastic prelude to Shattered Grid, but that is far from the only reason you’ll want to read it. This review will be spoiler-free, so read on without regret. That opening line sounds nice, but when we say there’s more to this issue than just a prelude, we meant it. 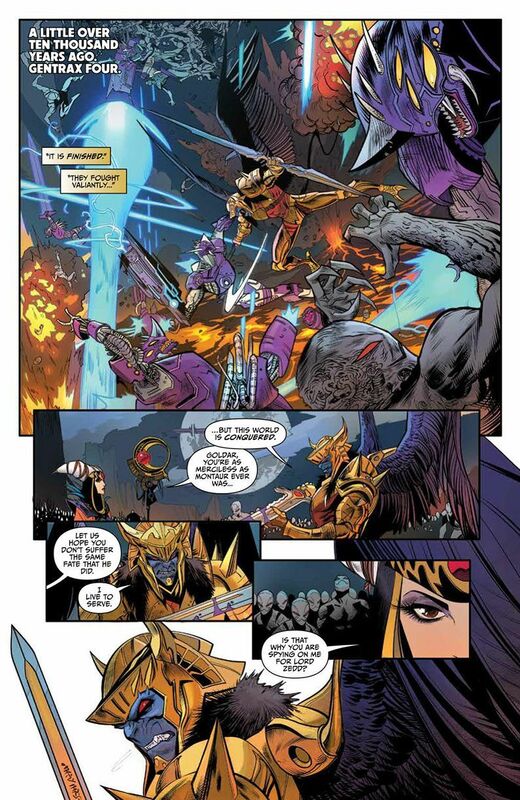 Things pick up where #7 left off, and writer Ryan Parrott kicks off the issue with a bit of Power Rangers history. These have been welcome in previous issues, and #8 continues that tradition. While we’re on the subject of Ranger lore, Parrott has done an impressive job of building up that lore without trampling on what fans know from the show. These little bits aren’t required knowledge but answer questions that longtime fans have always wondered about. It doesn’t hurt that Dan Mora could do an abstract drawing of the phonebook and we’d buy it. Putties are actually menacing in his hands, and that goes for the newest member of the Putty army as well, resulting in an action sequence that just wouldn't be possible under normal television budgets and constraints. Truthfully this might be Mora’s best work on the series yet, as this monster rises high above the normal creature of the week. 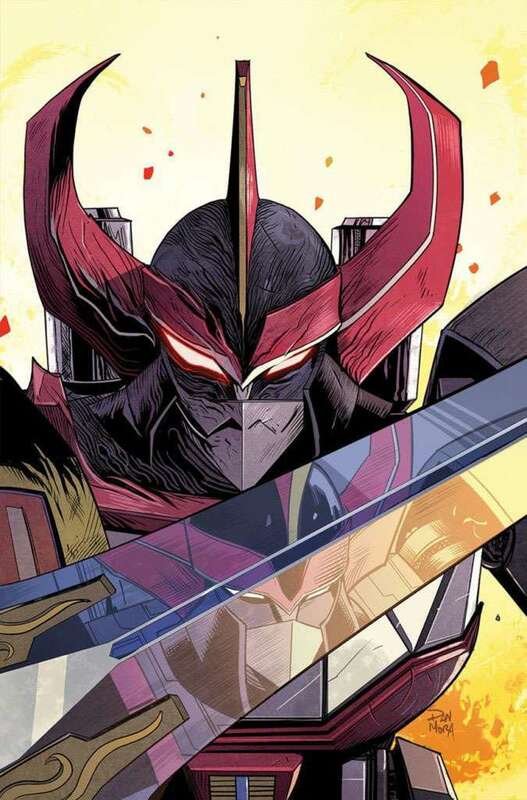 Mora has fun with its shifting and changing nature, but he doesn’t skimp out on the Rangers either, and his knack for showing parts of the Rangers faces behind their helmets is used to stellar effect here. When combined with Parrott’s pitch-perfect dialogue, it’s a Power Ranger fan’s dream come to life. For instance, lines like “It’s tensile strength is phenomenal” feel right out of the television series, so much so that we don't’ even need to tell you who said that for you to know. That doesn’t mean the dialogue is all homage though, as Parrott isn’t afraid to poke fun at the traditional Ranger callouts, seen in gems like this. Yeah, they do really need to reign that in. This is a Shattered Grid prelude after all, and in that respect #8 does not disappoint. Fans already know this series will feature an all-new Ranger, the second since Mighty Morphin introduced Lord Drakkon. We can’t say anything about how that plays out (this is spoiler free after all), but let’s just say you will be on the edge of your seat waiting for issue #9. 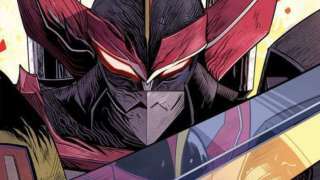 While some will flock to this issue thanks to Shattered Grid, you should stay for some of the most entertaining and rewarding Power Rangers storytelling around.